With striking black trunks that can attain a diameter up to five feet topped with thick, three-foot tall sprays of grass-like leaves, grass trees make dramatic garden accents. Although all species are slow growers, they thrive even when grown in containers. Grass trees can live up to 600 years. 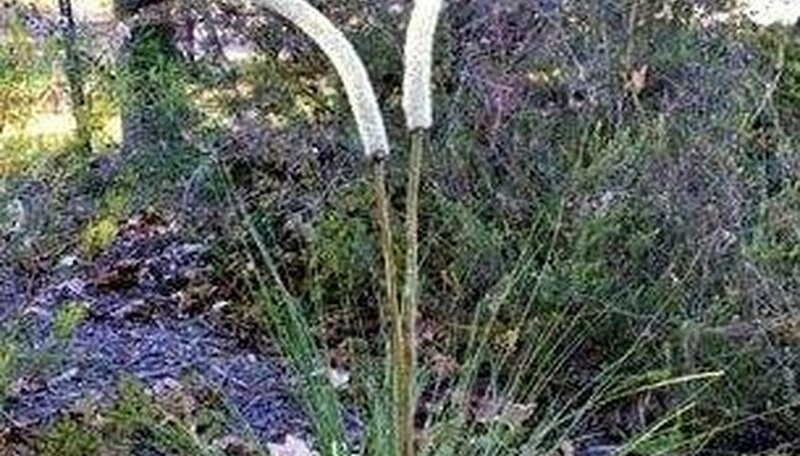 Grass trees are native only to Australia, and all varieties are currently classified as "protected," making it illegal to dig up one of these wild plants. However, these beautiful subtropical trees can be easily raised from seeds, which are inexpensive and readily available from retailers. Plants grown from seeds will mature in about seven years. Make a half-and-half mixture of washed sand and Perlite for sprouting your grass tree seed. Fill a 2-inch pot with the sprouting mixture, to about 1/2 inch below the rim of the pot. Place a grass tree seed in the center of the pot on top of the sprouting mixture and cover it with a 1/8-inch layer of the mixture. Mix the water soluble fungicide for seeds with distilled water, and soak the surface of the sprouting mixture with it. This will keep the seedling from being attacked by fungus, resulting in "damping off." Use distilled water, because grass tree seeds and seedlings are highly intolerant of anything but the best water quality. Set the planted pot in a warm, sunny location. If the weather is very warm, it can be placed outdoors. If not, choose a warm windowsill that receives sunlight most of the day. Water the sprouted grass tree seed only enough to keep it uniformly moist, but not wet. Overwatering your developing plant will kill it. Depending upon the species of your grass tree, it will take from 2 1/2 to 7 weeks for it to sprout. Transfer the sprouted grass tree seedlings to a 4-inch pot filled with organic potting soil up to about 1/2 inch from the top of the rim. 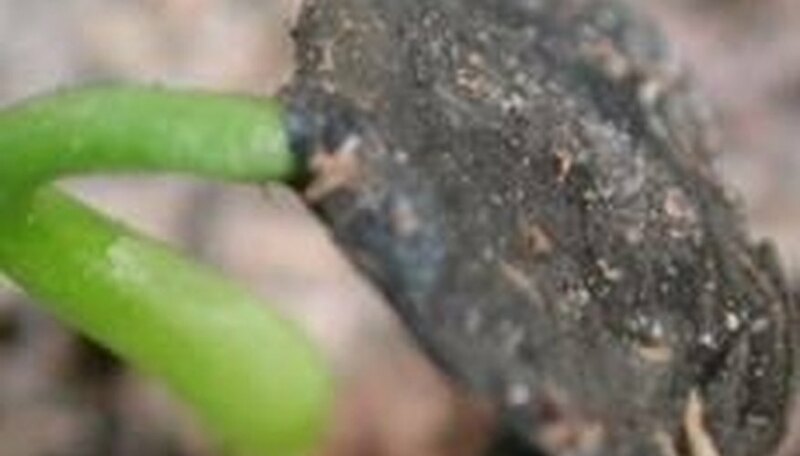 Sprouted grass tree seedlings must be moved to soil to receive the nutrition that they require to grow. Moisten the soil with distilled water. Continue to keep the soil moist, but not wet. Feed the seedling with blood meal fertilizer or bone meal fertilizer, according to the package instructions. Provide the young subtropical grass tree plant with as much full, bright sun as possible, and keep it warm. Dissolve 1/2 cup of brown sugar in a half gallon of distilled water, and feed it to the grass tree seedling once a month for two years. This solution stimulates the growth of Micorrhiza, tiny microbes that eventually develop around the plant's root system, naturally. These serve to protect the grass tree from diseases and other microorganisms that can kill it. Transplant the seedling into larger pots as it grows. Plant your grass tree outside in a well-drained, sunny location once it has reached two years of age, if you wish. It won't be able to tolerate the uncontrolled conditions of being planted outdoors before then. Thereafter, no additional watering from you will be required. The plant will thrive in any warm climate and can tolerate even the most severe drought conditions. Grass tree seeds remain viable for about two years after harvest if stored in a brown paper bag at room temperature. Dried seeds can be stored in moisture-proof containers in the refrigerator for many years, but don't freeze them. 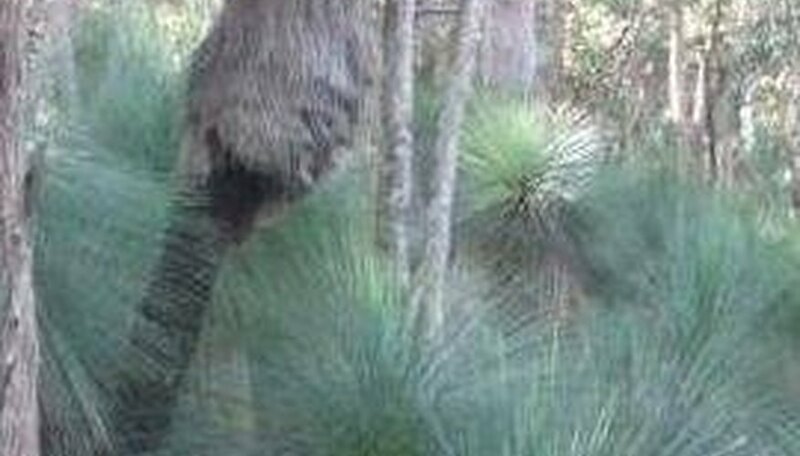 It's illegal to remove a grass tree from its native Australian habitat.